Chip maker AMD has accused four former employees, now with Nvidia, of stealing trade secrets and other confidential files and handing them over to its competitor last year. AMD filed suit in Massachusetts claiming that former VP Robert Feldstein and managers Manoo Desai, Nicolas Kociuk and Richard Hagen grabbed an array of documents — including details of upcoming technologies, strategic licensing and big-ticket contracts — before leaving the company’s Boxborough plant. The men are also accused of transferring data from “Perforce,” an internal AMD database containing more than 200 confidential files on the company’s technology development, process and product. Then there’s the old school methodology. Forget spoofed IPs and remote hacking; these men supposedly plugged in an external storage drive to commit the acts. 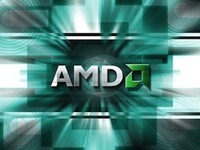 And they may not have been too confident about even this primitive approach — apparently one of the managers “ran several Internet searches about how to copy and/or delete large numbers of documents,” says AMD. The company believes its forensic evidence is clear, and that the men are guilty of corporate and/or industrial espionage. Now it’s up to the courts to weigh in. In the mean time, a temporary restraining order has been issued against the accused. The men are ordered to preserve whatever copies of AMD materials that may be in their possession, as well as their computers and devices, and they’re barred from divulging any AMD confidential info. We’ve reached out to Nvidia, but the company has remarked that it doesn’t comment on pending legal matters. For details on the case, the official complaint is embedded below. Wonder how long it will be before a movie studio turns this into a feature film. Judging by The Social Network, jOBS and the upcoming McAfee film, it’s rather trendy to put technology superstars on the big screen. And this one’s got all the backstabbing, intrigue and espionage that popcorn-gnawing audiences just love. Couldn’t you just see the opening scene now? MAN AT TERMINAL: C’mon. C’mon! Now that’s box office gold, right there.